Finding a hiking boot for a narrow foot can be a challenge. MB came in today with the Ecco Lo, which fit her narrow foot to a T.
This is a very supportive shoe and comes in a low top version (Lo style) and a high top version (Mid style). It comes in men’s and women’s sizes and is made with Gore-Tex so is waterproof. My only hesitation with this boot is it does not have a firm heel counter, so if you pronate excessively, this shoe may not work for you, especially if you plan on hiking over rugged terrain. Otherwise, it’s a terrific shoe for an otherwise challenging narrow foot to fit. 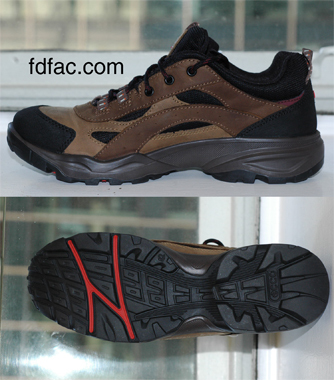 This entry was posted in Narrow Feet, Shoe Fit, Shoe Review. Bookmark the permalink.